– Perfect brushed-chrome grill. Perfect body paint. – Fully tested and working. 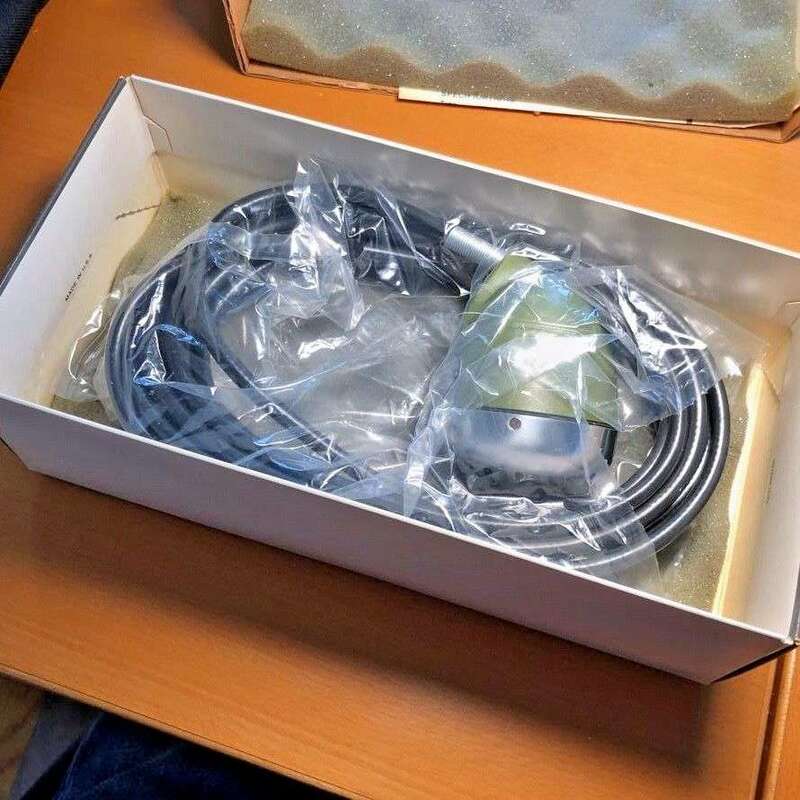 – Attached cable in perfect condition. 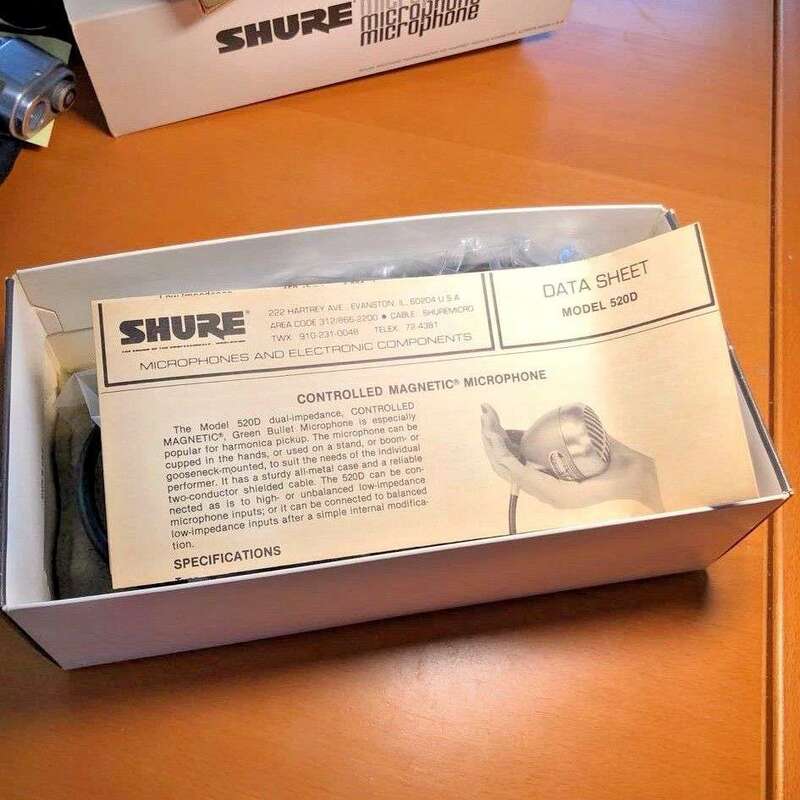 – No cable connector, Never been used. Install your own. 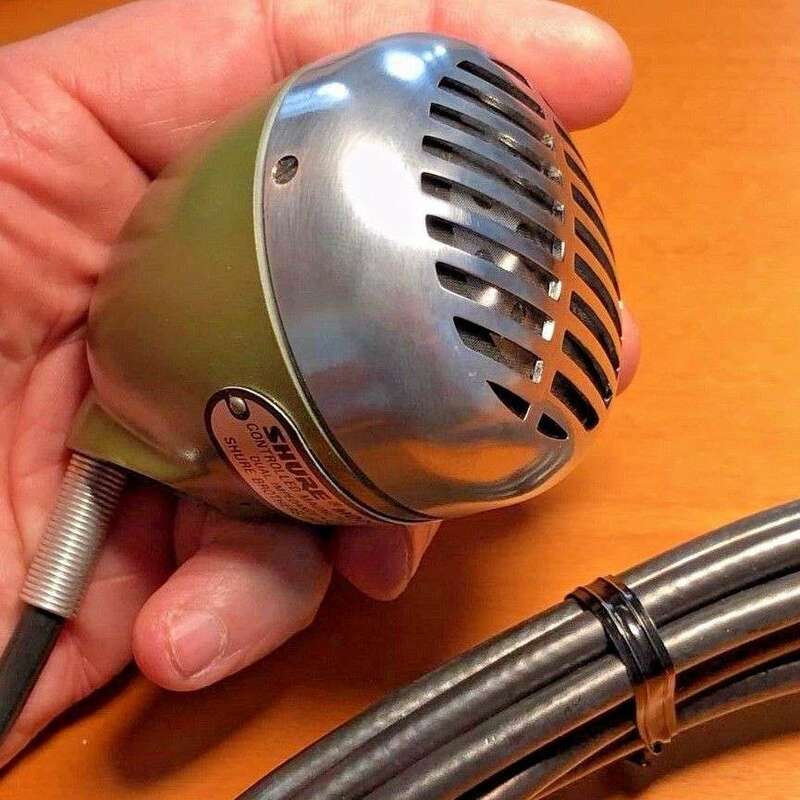 Don’t mistake this microphone for it’s little sister, the Shure model 520DX. The 520D has a much better controlled magnetic element inside. 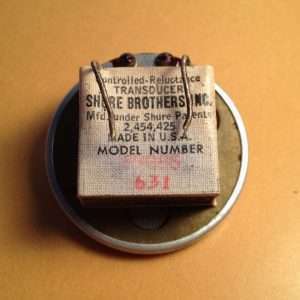 The 99S556 controlled magnetic model. This gives you a much fatter, stronger, and melodic tone for that Chicago blues harmonica tone. The microphone cosmetics are different too! 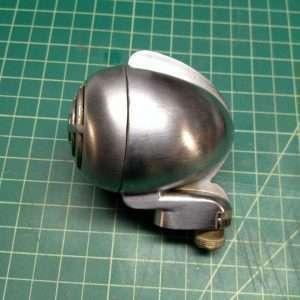 This model has a superior brushed chrome grill. Not just painted like the DX. 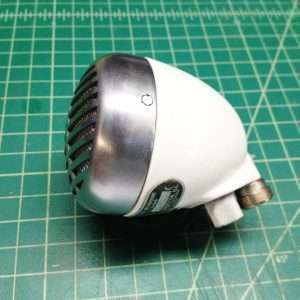 This mic has only been out of the box to photograph it. 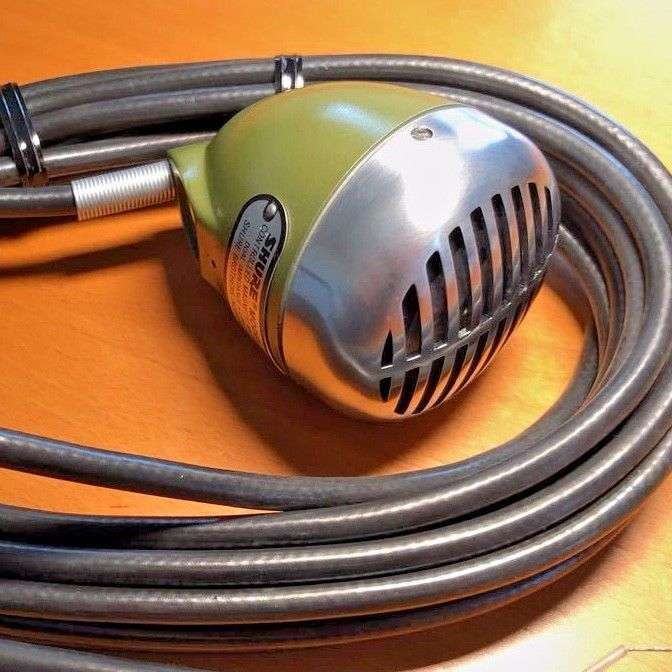 Still has the heavy-duty cable attached. 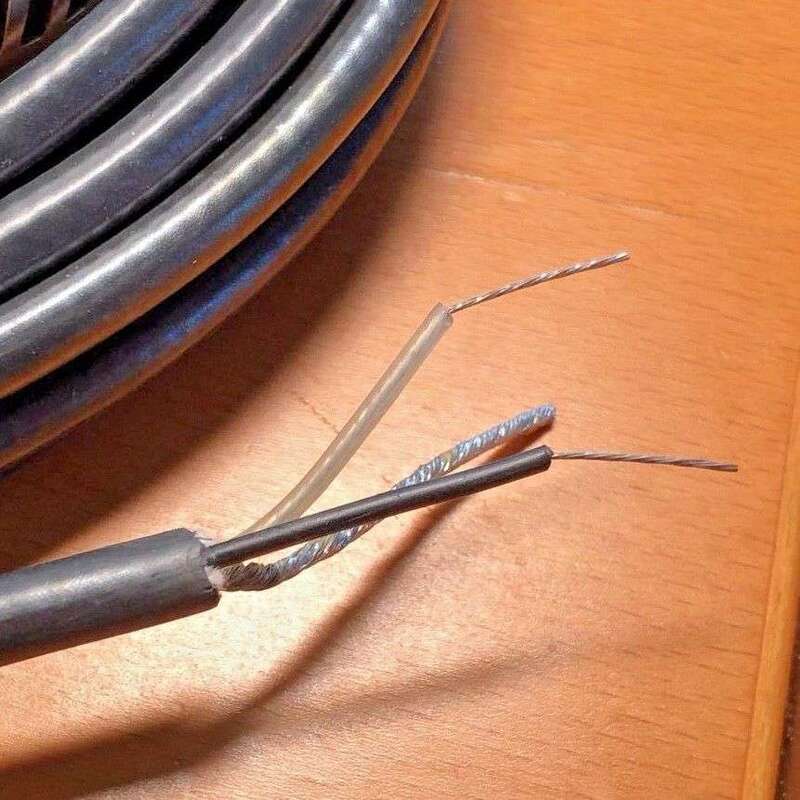 It was never even wired for the cable connection. 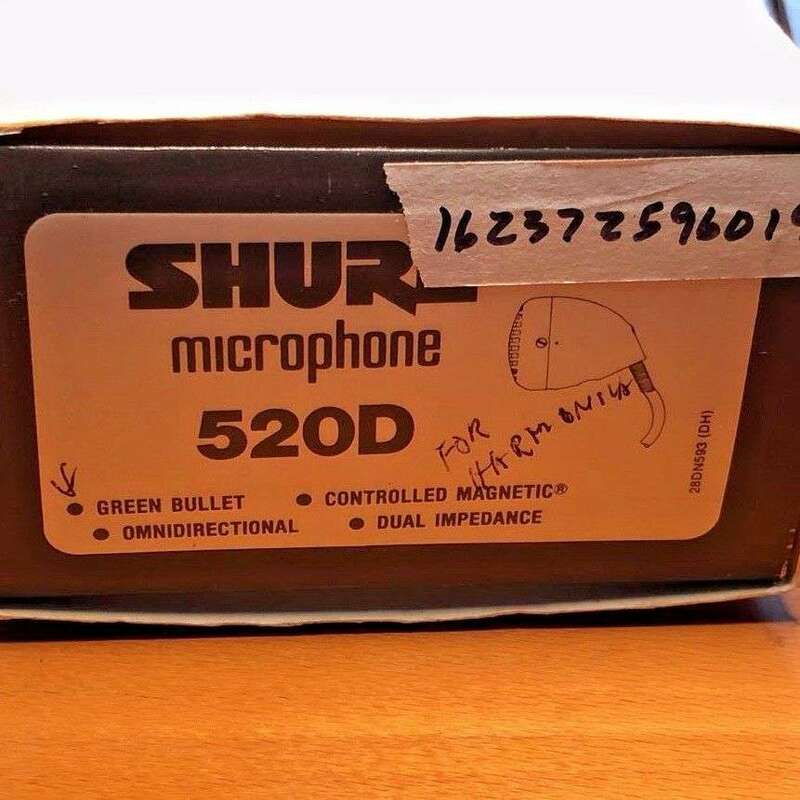 I had a good question about why a vintage Shure 520D was more expensive than a New Shure 520DX. Easy to confuse a 520D and 520DX. 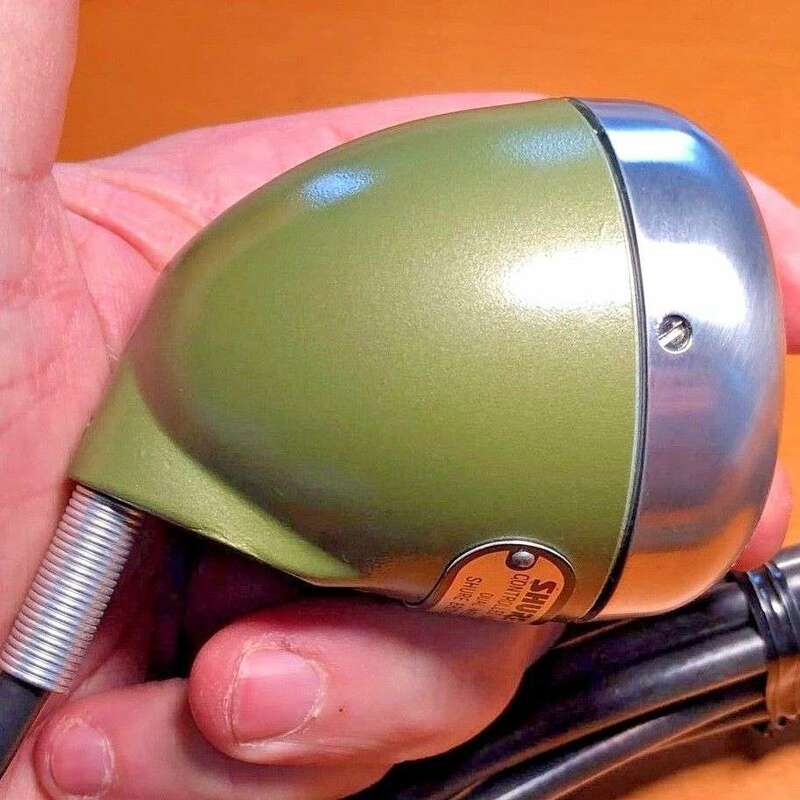 The 520D hasn’t been manufactured for years. 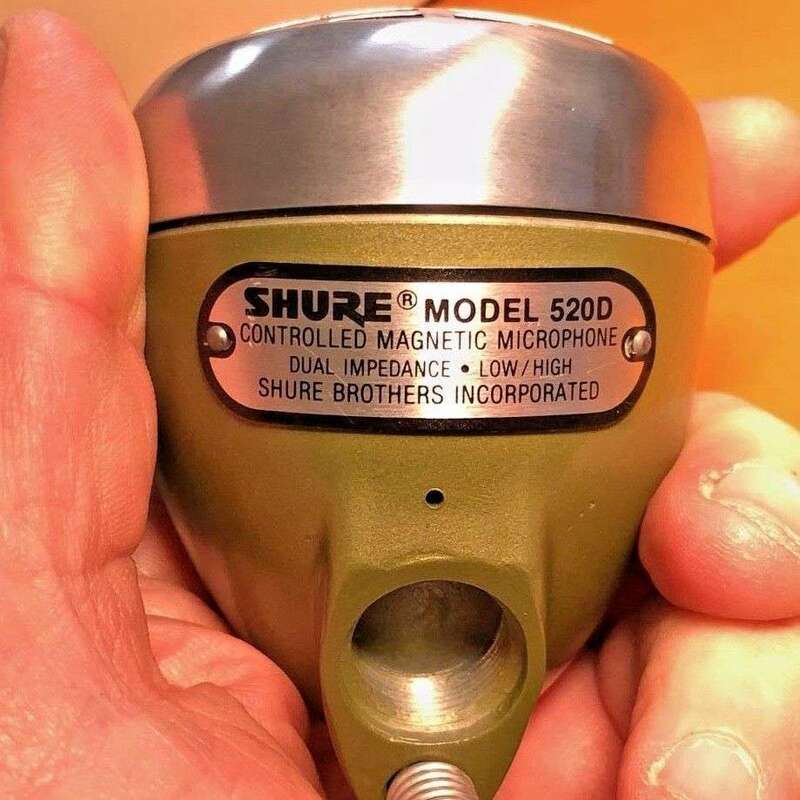 You can, of course, still find a NEW Shure 520DX with it’s totally different dynamic element. If you ask around, most players will agree the new element is inferior. 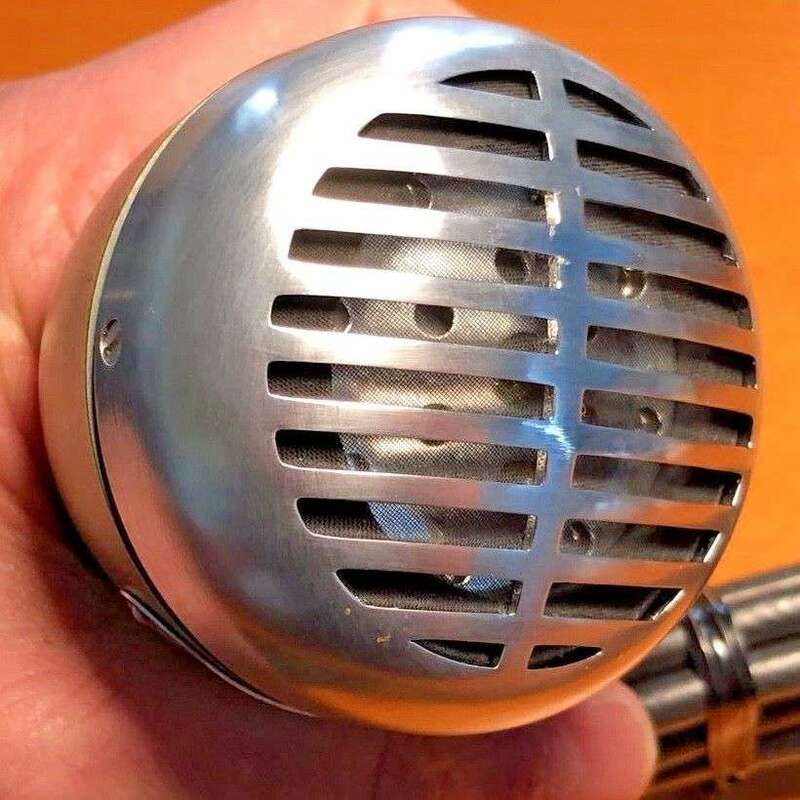 1940’s Chrome Turner BX, 1956 Shure CR element, Hot!